The lawyers have more than 100 years of combined experience. Kesluk is a member of the Million Dollar Advocates Forum. 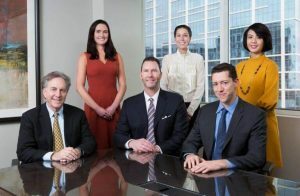 Silverstein handles class action employment lawsuits. Jacob handles all aspects of employment litigation. Consequently, they all uncover potential violations of an employee’s rights guaranteed under state and federal laws. Our lawyers stand up against wage theft, wrongful termination and other forms of employers abusing employee workplace rights. If you are the victim of discrimination, harassment or other workplace issue, contact an employment attorney at our law office today to set up a consultation. If an employer is not paying the correct wage or overtime rate, our experienced wage dispute lawyers clarify your correct wages and tell you your next steps. Whatever our role, we look out for the best interests of our clients. We want you to receive fair treatment from your employer or former employer.